I am often asked how much a recipe costs to make. It's how you decide whether or not a particular dish will fit within your grocery budget. 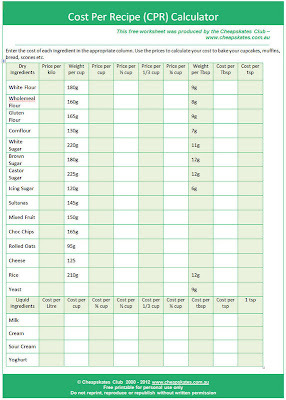 Working out the cost of each ingredient can be done, it just takes time. 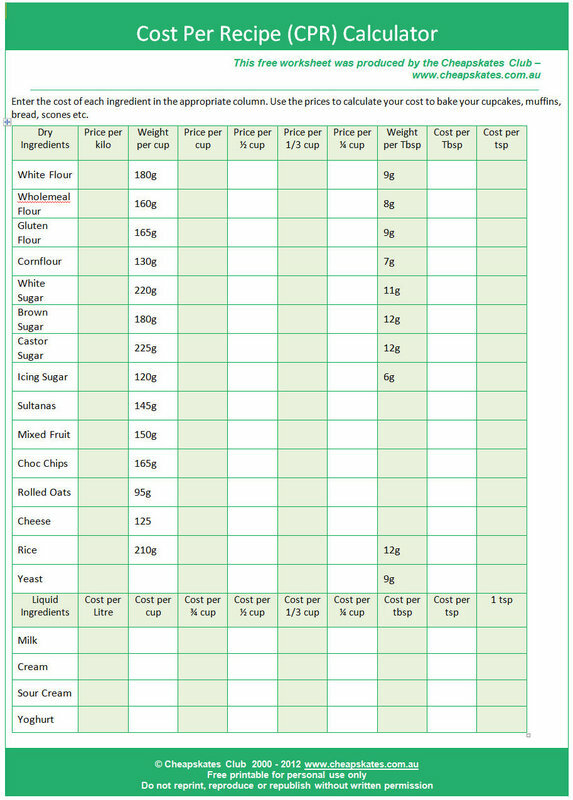 I've done the hard work for you and created a Cost per Recipe Calculator. 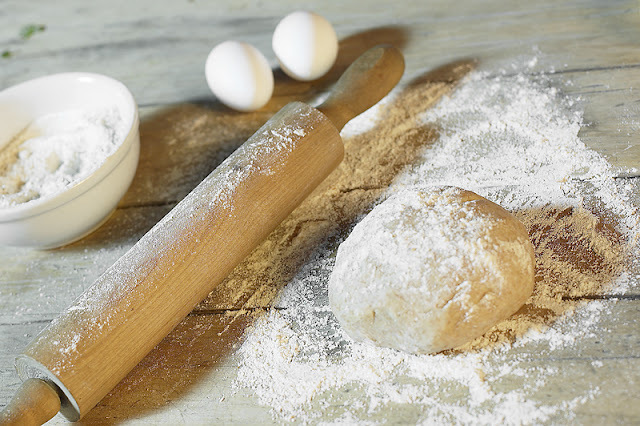 Use this handy worksheet to calculate your cost per cup cake or muffin or biscuit or slice or cake or pudding or loaf of bread or batch of scones or anything else you bake. I can't download this calculator. Scribd requires you to have a facebook account or to sign up for a paid account. I don't have a facebook account and I don't want to sign up for an account with Scribd to download one simple spreadsheet that you could have easily made available on your own website. The CPR calculator is readily available on my website. Then how do you access it please? When I click the link at the bottom of the post it takes me to Scribd.com. To access the calculator they want you to sign up and pay $8.99 for the day to access the file or use a facebook account. Am I missing a link somewhere else?